With elections a week away, key political players are moving to secure their places in the post-midterm power arrangement. The main arena here is the contest for the speakership of the House of Representatives. The term of current Speaker Gloria Macapagal Arroyo ends next June. She has reached her term limits and announced she will retire to a quieter life and write her memoirs. Her departure will create a large leadership vacuum in a frequently unwieldy chamber. 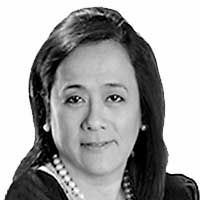 Arroyo, we will recall, was elevated to the speakership by what was clearly a rebellion by congressmen unhappy with the sort of leadership provided by her predecessor. The rebellion in the chamber nearly disrupted the State of the Nation Address traditionally delivered at the opening of Congress. Arroyo’s elevation to the speakership also elevated her key allies in the chamber. Among them: Joey Salceda, Arthur Yap and, most visibly, Rolando Andaya. Andaya took over the very powerful posts of majority floor leader and then the chair of the appropriations committee. Andaya’s father served many years at the head of the House appropriations committee. 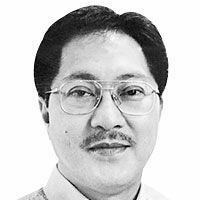 He served as budget secretary to Gloria Arroyo. 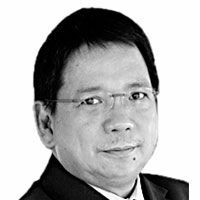 An experienced hand in the appropriations game, he picked a fight with former budget secretary Benjamin Diokno as well as the entire Senate. A group of influential senators accused Andaya of masterminding congressional insertions in the 2019 national budget. On his part, Andaya accused the senators of taking money away from the Duterte administration’s key programs. The spat stymied timely passage of the national budget. Consequently, the administration, over the last quarter, has been forced to operate under a reenacted budget. This could lead to a serious drop in the pace of our economic growth this year – especially as President Duterte threatens to veto the entire budget bill. Surely, the President does not want this budget mayhem to recur in the remaining years of his presidency. It should be a given that he wants a friendly House leadership in the next Congress. But he also wants a harmonious working relationship between the House and the Senate. At present, that relationship can only be described as acrimonious. While the House speedily acted on several of Duterte’s priority pieces of legislation, the bills have been marinating in the Senate. That includes not only the controversial bill restoring the death penalty but also the remaining packages of the comprehensive tax reform program. Clearly, Duterte must be looking over the potential leaders of the House even as he is busy getting his loyal allies elected to the Senate. Over the coming days, the question of who would be House speaker should move closer to the top of the President’s mind. 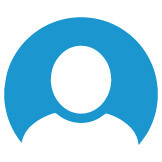 Traditionally, even as the Congress is technically an independent branch of government, the Chief Executive effectively albeit implicitly chooses the Speaker. Gloria Arroyo apparently prefers Rep. Lord Allan Velasco of Marinduque to succeed her in the next Congress. 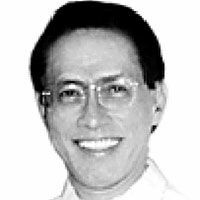 The congressman is a staunch Lakas stalwart. Sara Duterte had mentioned Martin Romualdez as potential House Leader. The Leyte congressman is a strong supporter of the Hugpong sa Pagbabago, an alliance of regional parties Sara brought together for this midterm elections. Antonio Floirendo Jr., a close friend of the President and a major Mindanao powerbroker, has made known his intention to seek the speakership. Floirendo had a bitter falling out with former speaker Pantaleon Alvarez. The latter had caused charges of graft to be brought before the scion of the influential banana exporting enterprise. Then there is Alan Peter Cayetano. 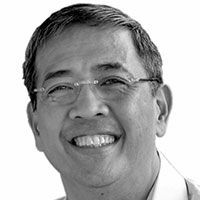 According to widely repeated account, it was Duterte who urged Cayetano to seek a seat in the House and eventually take the leadership of the chamber. This should be believable: Cayetano is about as staunch a Duterte supporter as any. In the run-up to the 2016 presidential elections, Cayetano threw his full support behind Duterte’s then incredible candidacy. He was a major campaign contributor and ran as his vice-presidential candidate. After Duterte took office, after the one-year ban on losing candidates, Cayetano served as foreign affairs secretary. Cayetano is seeking a seat in the House of Representatives representing the relatively safe district. That has given him the leisure to do his work as chair of the preparatory committee for the forthcoming Southeast Asian Games to be held at Clark. President Duterte’s endorsement of him could not be too explicit. Outwardly, the President needs to respect the independence of the legislative branch. Selecting the speaker is formally a task of the members of the House, a result of their own political processing. Of course, no one has yet been elected to the Congress. Elections will happen in May. It will not be good form for any aspirant to leadership of either legislative chamber to be manifestly maneuvering for power posts. To be sure, however, both chambers will be hugely pro-Duterte. The so-called “opposition” is pathetically marginalized. Even then, we do not have much in terms of political party procedures. We have even less in terms of party discipline. The leadership posts will be contested, as most else are, by informal caucuses, personal charisma and financial resources. We are not like India or Israel where, hours after the polls close, we know which party will dominate and consequently who will assume the leadership of the institutions. There will be many days of negotiations after the polls close next month. Politicians will leverage for concessions from the aspiring leaders. This is the reality of a party-less democracy. Support will have to be solicited and concessions agreed upon.